While George H.W. 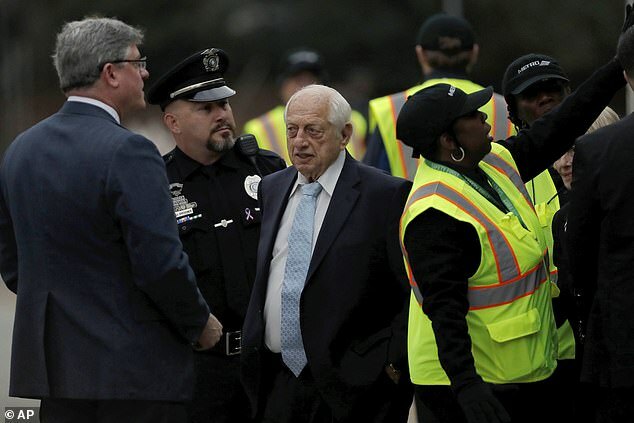 Bush’s D.C. funeral was packed with foreign dignitaries and presidents, his Texas ceremony was filled with Hollywood stars and Texas athletes. From actions stars and a ‘Desperate Housewife’ to legends from the NBA, NFL, and MLB, it was clear that Bush touched the hearts of many during his 94 years of life. 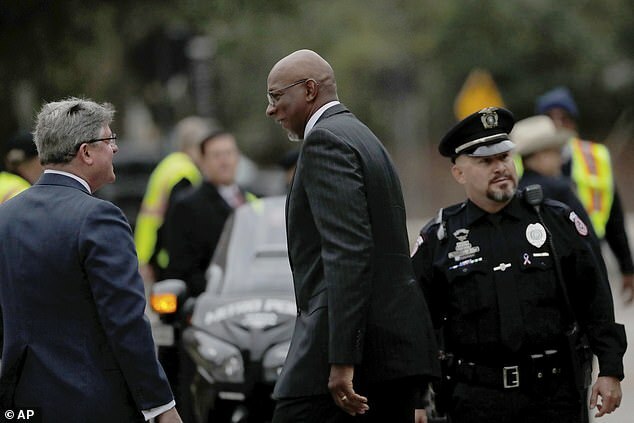 Arnold Schwarzenegger, Chuck Norris, and Terri Hatcher were among the celebrities seen entering St Martin’s Episcopal Church in Houston on Thursday. Schwarzenegger, who Bush appointed to the President’s Council on Physical Fitness and Sports, credited his longtime friend with introducing him to politics. He campaigned for Bush on his own dime, flying around the country in his private jet at the height of his fame to meet with governors and other representatives. As he walked into Bush’s funeral, Schwarzenegger recalled the time he went sledding with the 41st president at Camp David in 1991. Schwarzenegger had only been sledding in his native Austria, where one directs the sled with their feet. 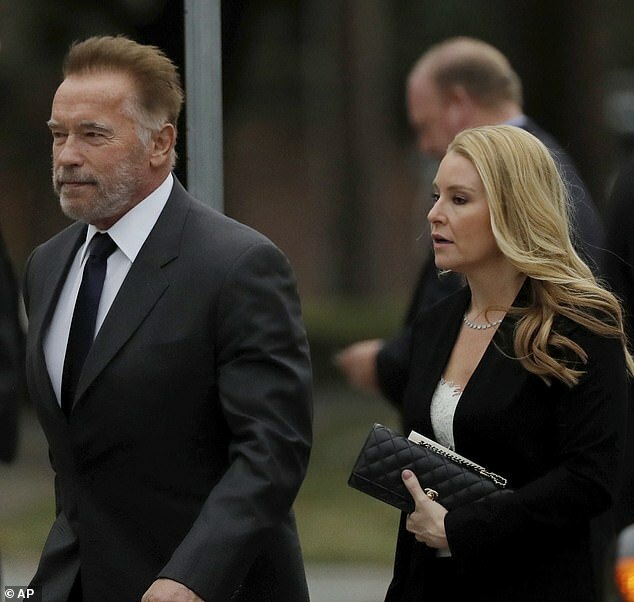 ‘So we went down totally out of control,’ Schwarzenegger told KTRK, revealing they crashed right into Bush’s wife Barbara. Norris had also appeared on the campaign trail with Bush as he sought re-election in 1992. 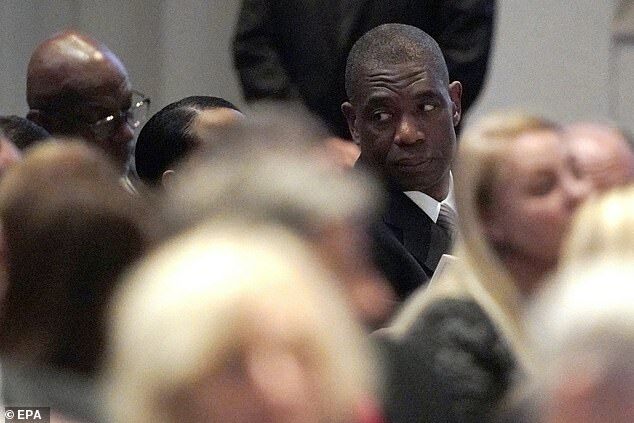 The action star joined Bush at a Houston middle school to watch an exhibition by children who belonged to an anti-drug program that he sponsored. Reporters asked Bush if he would ‘drop-kick’ Bill Clinton on Election Day. He winked and gave them an ‘OK’ sign. Hatcher was a longtime friend of the Bush family and recently wrote a tribute recalling a sweet day she spent with the former president. ‘I’m honored and grateful to have known him, Mrs Bush, and their wonderful family,’ she wrote on Instagram. 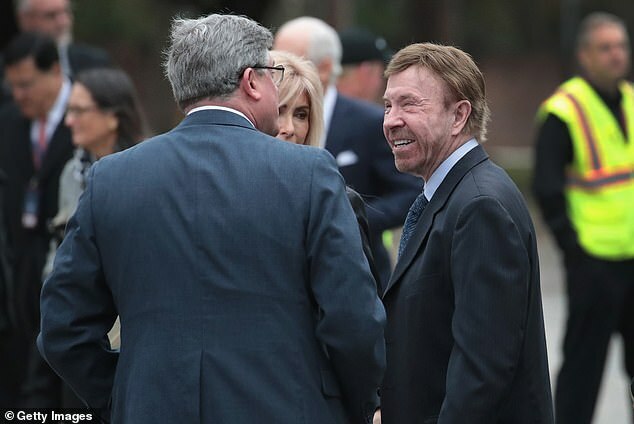 Houston Rockets owner Tilman Fertitta, one of Bush’s closest friends, was also in attendance on Thursday. 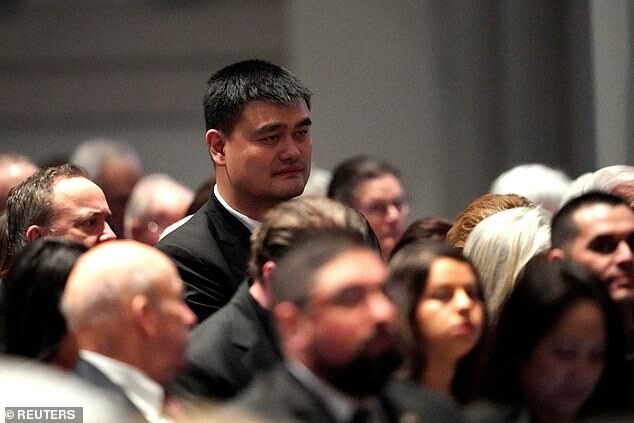 Bush was often present at Rockets games and even formed close friendships with players Yao Ming and Dikembe Mutumbo, who both came to the funeral. 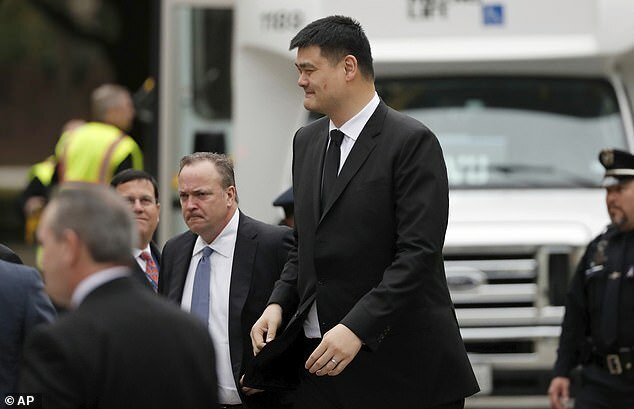 ‘He gravitated toward Yao and then he developed that relationship with Dikembe because of similar ideas of service,’ Rockets President Tad Brown told the Houston Chronicle. 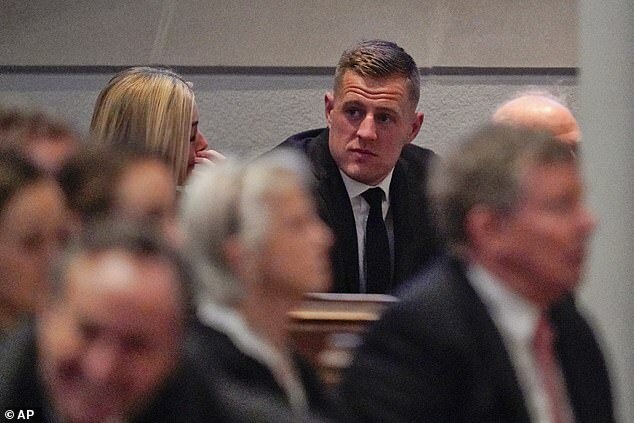 Texans player JJ Watt, who had a close friendship with Bush’s wife Barbara, was also seen at the service. Bush loved watching the Houston Astros play and six different players from the team – including Hall of Famers Craig Biggio, Jeff Bagwell, and Nolan Ryan – were in attendance on Thursday. Astros owner Jim Crane paid tribute to Bush as he headed into the funeral, recalling the day both Bush and his son George W Bush game to Game 5 in last year’s World Series. 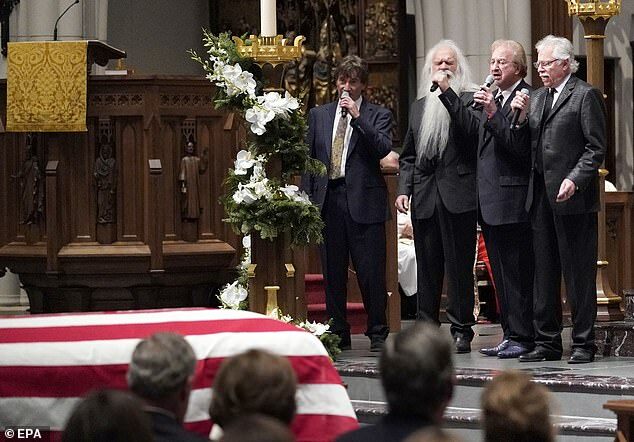 The performances at Bush’s funeral were star-studded as well, with the former president requesting Reba McEntire sing at his service. 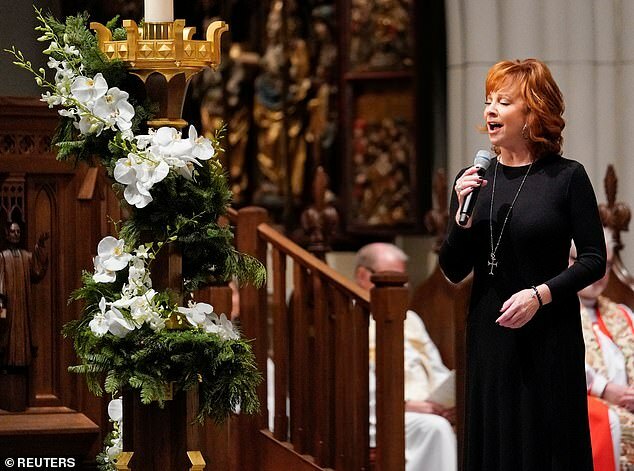 Reba brought George W. Bush to tears when she sang The Lord’s Prayer just moments after fellow country music stars The Oak Ridge Boys – also handpicked by Bush – performed an a cappella version of Amazing Grace. 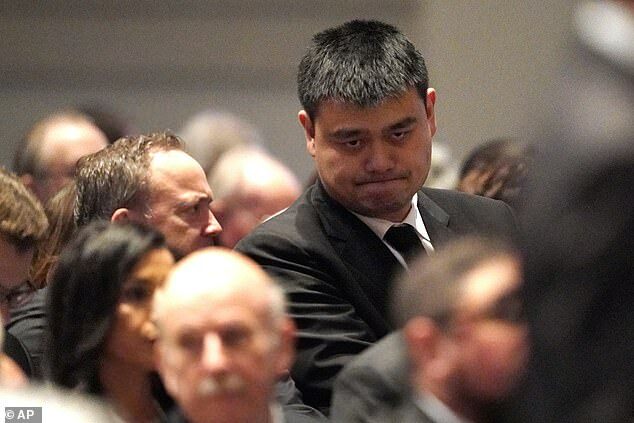 Around 1,200 guests filled St Martin’s Episcopal Church for the service, where Bush’s grandsons served as honorary pallbearers and his granddaughters led various readings. Bush’s casket is now traveling 70 miles from Houston to Texas A&M, where a motorcade will take Bush to his presidential library at the university. 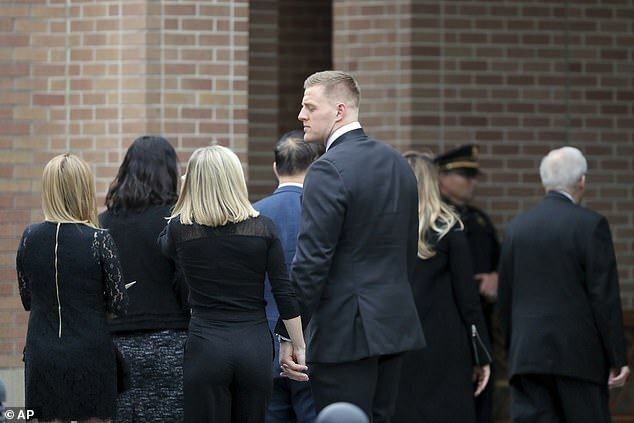 There, Bush will be laid to rest at a private ceremony next to his wife Barbara, who died in April, and his daughter Robin, who died at age three in 1953.